A Division Bench of the Kerala High Court in Dr. Parameswar Lal Vs.N.N. Ullas and Ors (supra), dismissed the writ petition for habeous corpus, filed by a male lover alleging illegal detention of his female partner by her father. The reasoning of the decision, would take the reader a century backwards to the Victorian age, were a father had unquestioned powers over his wards. The Petitioner and the detenue in the above case are doctors’ by profession. They decided to get married, as they realized that they were in love. However, this was not approved by the detenue’s father, consequently she was illegal detained. As usual the detenue was not allowed to report for work or to appear for the ensuing post-graduate entrance examinations. The petitioner therefore approached the writ court seeking issue of habeas corpus for her production and release. The detenue was produced and she confirmed her love affair with the petitioner and also told that it is her firm decision to get married to the petitioner. 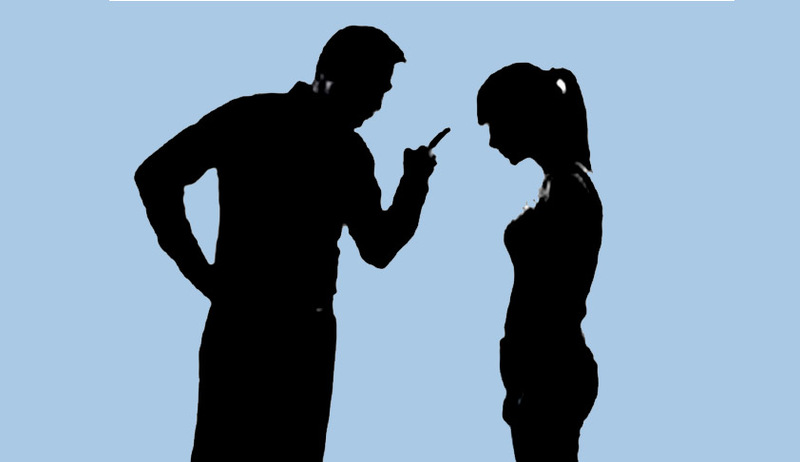 She also stated that in order to force her to withdraw from the relationship, for the last here months, she was kept in confinement without allowing her to continue the employment and even refusing to give the mobile phone. It was told that all these facilities will be restored only if she agrees for a marriage with somebody else, which was not acceptable to her. The decision is founded on three elements (1) it followed the Full Bench of the Court in K.N. Sadanandan vs. Raghava Kurup and others. (2) disapproved, as per in curium, Rajmohan M.S v. State of Kerala (supra), as it did not consider the binding precedent delivered by the Full Bench of the Court (3) adopted the parental authority and its exceptions as provided [in Re Agar-ellis v. Lascelles (1883) 24 Ch.D.317]. It also does not specify that when does the child attain decisional autonomy. Is it at the age of 18, 21 or at any higher age. The decisions followed by the Division Bench as binding precedents requires a closer look, because it appears outdated and does not hold the field at this age. Let us examine the facts in K.N. Sadanandan (supra), before discussing the reasons on which it is founded. “The petitioner, an Ezhava, claims to have married a Nayar lady, aged 21 years. The marriage is evidenced by a certificate issued by the S. N. D. P. Union, and cash receipts for the marriage charges. The lady respondent is staying with her own parents; and, despite the allegation made by the petitioner, little has been made to show that she is under restraint, or is being illegally detained by the parents. There are criminal proceedings pending between the parties; the lady on the petitioner's own showing, has filed a petition repudiating her having married the petitioner, and stating that she was staying of her own free will with her parents and was not being wrongfully confined. This is the background against which a writ of Habeas Corpus is prayed for.” The facts may not be relevant, while the legal principle enunciated in the decision, may be. However, in this case the husband was trying enforce restitution of conjugal rights, while in the case under review the detenue was vehemently contenting that she was wrongfully confined for disobeying the authority of her father. The Full Bench of the Court suggested two sets of reasons for dismissing the petition (1) the principle in Re Agar-ellis v. Lascelles (supra) (2) the principle Queen v. Jackson, where it was ruled that where a wife refuses to live with her husband, he is not entitled to keep her in confinement in order to enforce restitution of conjugal rights. It is rather unfortunate that the Division Bench also concurred with the right of the father to control the decisional autonomy of the girl child and its exceptions formulated in re Agar-ellis v. Lascelles (supra), in the case under review. Three classes of cases in which interference with a father's rights was justified by English Court, broadly; (1) where the father has forfeited the right by his moral turpitude, (2) where he has abdicated his authority and (3) where he removes the ward out of jurisdiction. It can be seen that the above right of the father and the exceptions formulated were widely criticized and was even disapproved in a latter House of Lords decision, Gillick v.West Norfolk and Wisbeach Area Health Authorty ( Hewer v.Bryant (1970) 1QB 357). The House of Lords in Gillick v.West Norfolk and Wisbeach Area Health Authority (supra) held that the parental right to control a minor child deriving from the parental duty was a dwindling right which existed only in so far as it was requested for the child’s benefit and protection; that the extent and duration of the right could not be ascertained by reference to a fixed age, but depended on the degree of intelligence and understanding of that particular child and a judgment of what was best for the welfare of the child; that the parents’ right to determine whether a child under 16 should have medical treatment terminated when the child achieved sufficient intelligence and understanding to make that decision itself. While adopting the above standards, the courts in England attempted to classify a child in his minority as Gillick competent or otherwise, given his intelligence and understanding. In short the position is that the control of parent, even during his minority is determined by the ‘Gillick competence’ of the child. It may be true that Division Bench, in Rajmohan M.S v. State of Kerala (supra), did not discuss the development of law under the English Law regarding the decisional autonomy of a child, against the right of the parent to control his child, however the decision appears to have been made keeping pace with the modern complexities of child-parent relationship. But, terming the decision as per incurium may be uncharitable, for having not discussed the Full Bench of the Court in K.N. Sadanandan (supra), and the outdated English principles discussed therein. The Division Bench in Dr. Parameswar Lal Vs. N.N. Ullas and Ors, does not reflect the correct legal position in accordance with the law of England or that in India. It also does not keep pace with the changing world, where one find that a child attain ‘Gillick Competence’ at a very young age, while their parents lag miles behind. .